Hi, My name is Smokey the cat. I’m a girl about 3-4 years old. I was lost and two years ago found a safe back yard to live in. I have a lovely catio and a nice little shed with a heated bed for winter, it’s very cozy. 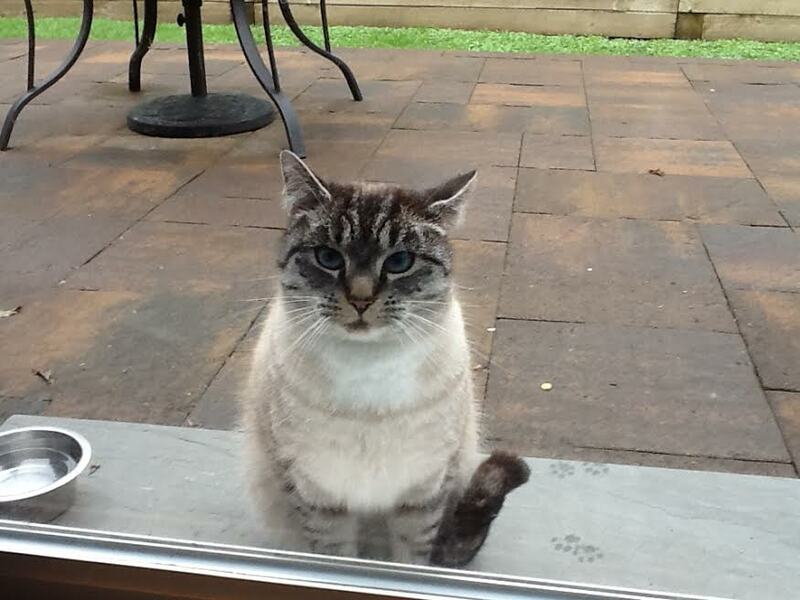 I would like to live in the big house with the people but they have a mean old lady cat who won’t let me in. I have been very healthy and happy since finding this place. I don’t like winter much, I would prefer to be sitting in the house with the people, on their laps, preferably. But alas, it cannot be. So I wait for summer when I have my choice of chairs to lounge in the sun, and I help the people with gardening and I hunt for mice and gophers to earn my keep. The people made sure I was healthy and make sure I get annual checkups. I love to eat, and sit on laps. When I am very happy I do drool a bit. My people have shared with me that they have to leave their home and go far away, and it isn’t safe for outdoor cats there. So I am looking for a new home with a backyard and maybe a chance to sit on your sofa with you. I have met dogs before, and as long as they don’t chase me, I don’t mind them. I have a cat friend from up the street that visits me on my catio and we lie in the sun together. The people have told me they think I am one of the nicest cats they have ever met.